nhis volume examines the current major issues in research design for arts teachers. It aims to answer two key questions: how do researchers design their studies? what research methods are appropriate for specific investigative questions? Silicon Valley, California. While there, he developed a discipleship program used by over 15,000 people and resulting in his book Discipleship Essentials and eventually the Essentials Series. Greg's other books include Unfinished Business and Transforming Discipleship.Philip Taylor is Director of New York University's Program in Educational Theatre. 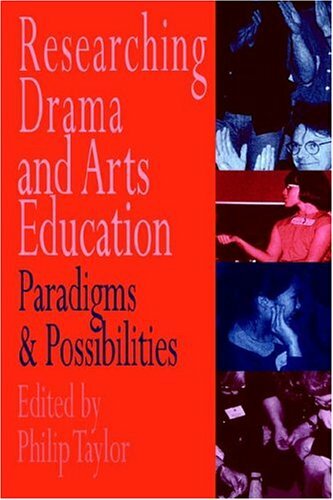 His previous publications with Heinemann include Applied Theatre: Creating Transformative Encounters in the Community (2003) and Redcoats and Patriots: Reflective Practice in Drama and Social Studies (1998).